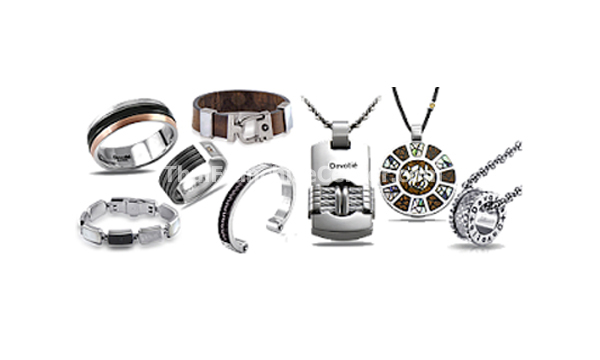 Devotié is India's biggest manufacturer and retailer of men's jewelry and accessories. Carved with impeccable craftsmanship, international design standards, fine quality rare material embellished with genuine diamonds, mother of pearl, Paua Seashells, black onyx, leather and more. Trendy, cost effective, high quality, great precision and superb craftsmanship all amalgamated to carve your personality! & Services Devotié stores the design house of MEN’s jewellery and accessories have carved a niche with their novel collection. Pendants, bracelets, rings, Time pieces, Key chains, money clips, writing instruments, business card holders, leather accessories –The Business Collection and the range is endless.